The nomad state got a good deal on its first government bond, but the effects on its development may be less welcome. The money is more likely to plug budget holes than fund needed infrastructure – and could strengthen Mongolia’s hand in tense dealings with foreign investors. Mongolia priced its first government bond on Nov. 29, raising $1.5 billion in total through five-year and ten-year securities. The issue priced with a yield of 5.13 percent for the ten-year bonds, and 4.13 percent for the five-year portion, which compares with the 5.75 percent pricing for bonds issued by the state-owned Mongolian Development Bank in March. The country has a credit rating of B+ from Fitch and B1 from Moody’s, giving it a similar standing to governments like Sri Lanka, whose 2022 bonds were trading at a 5.03 percent yield on Nov. 29, and Zambia, whose 2022 bonds traded at 5.44 percent, and which like Mongolia is rich in natural resources. 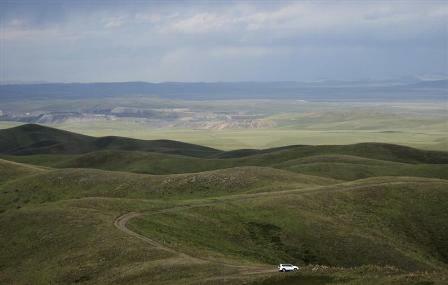 Mining group Rio Tinto cleared a hurdle to developing Mongolia’s vast Oyu Tolgoi copper and gold mine when it signed a power supply agreement in early November. The Mongolian government has asked to renegotiate the terms of Rio’s 66 percent stake in Oyu Tolgoi, which is held through subsidiary Turquoise Hill.